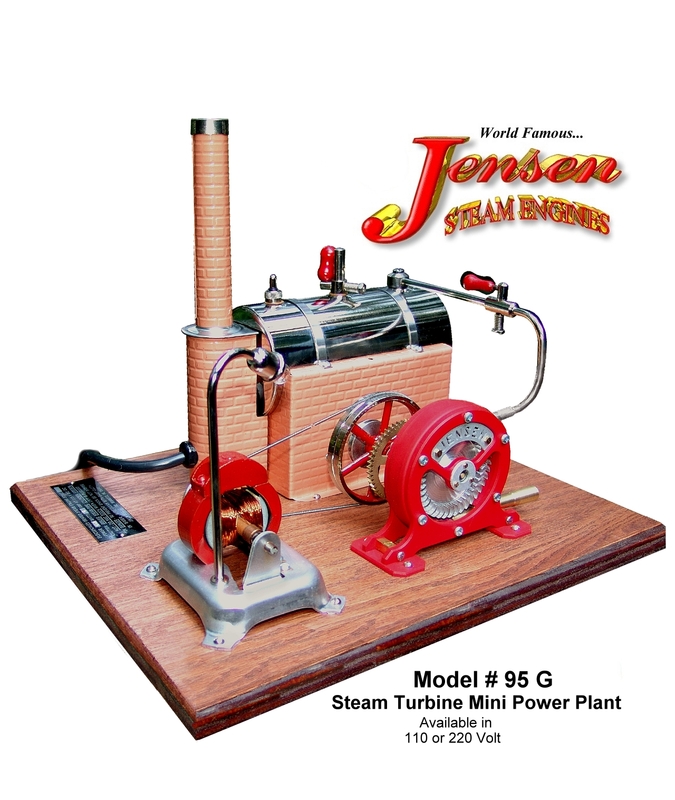 Our Jensen #95-G Steam Turbine Mini Power Plant is a high precision instrument, This is an all metal marvel that easily powers our well known model 15 generator and lamp post, making it the Worlds Smallest Steam Turbine Driven A.C. Power Plant. This unique Jensen offering is an excellent addition to any steam collection, and the perfect teaching aid for engaging student interest. The model # 95G Steam Turbine Mini Power Plant is also the ulitmate Demonstrati Display for Power Plant Operators, Energy Industry Trade Shows and Power Utility Visitors Centers. 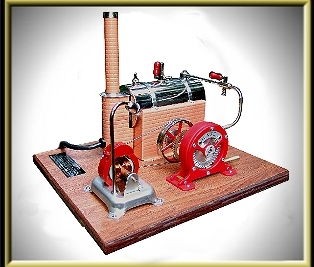 � Jensen's New 660 Watt "HotWatt�"
Copyright �1996 - 2016 Jensen Steam Engine Mfg. Co. Inc All rights reserved.